Why are Dachshunds Chests So Large? Let’s remember that Dachshunds were originally bred to hunt ferocious badgers and other underground animals such as rabbits. Their tenacity is one of their traits that allows them to hunt badgers underground as well as above the ground if necessary. Dachshunds were bred to do plenty of digging and burrowing. Their large chests provide an abundant, safe home for their ample lung capacity. The larger lung capacity for such a physically small dog provides them with super oxygen production. This oxygen production gives them the stamina and endurance to hunt as well as dig for their prey. Along with the lung capacity, their long sturdy tails, paddle-shaped paws and long noses all help them to be great underground hunters. 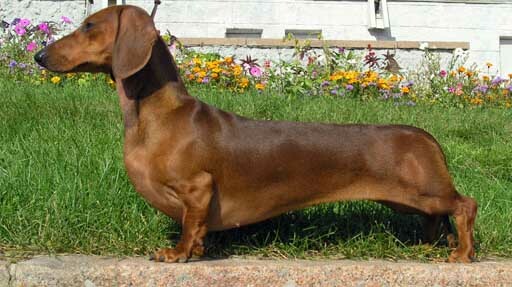 The Dachshunds long, barrel shaped chest also provide a mechanism for their loud and deep barks. Dachshunds love to bark. Their deep barks make it sound like the bark should have come from a much larger dog. When they were hunting underground, they needed to be able to alert their master. 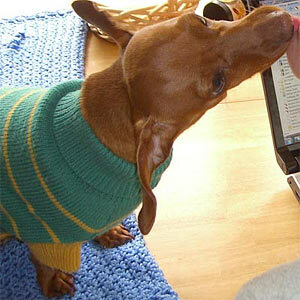 Although they were bred to be fierce hunters, today Dachshunds are wonderful family companions. Their small size also makes them great apartment dogs. 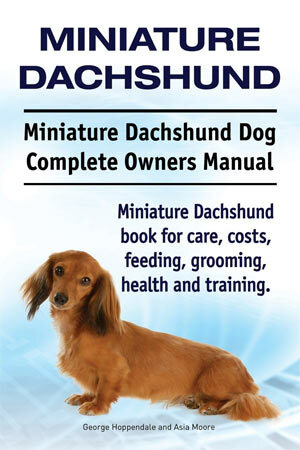 To learn more about Dachshunds, read here: Dachshunds, A Breed With Specific Traits. I have a dachshund puppy about 3 months old. When do their chests start to get larger? (At what age? ).